Schneit es monentan in Grandvalira-Pas de la Casa ?Vielen Dank! 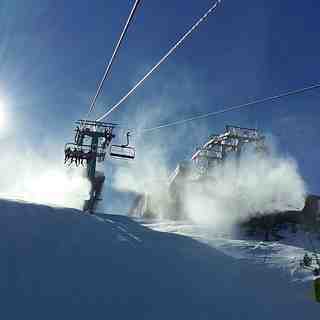 If you are looking for a cheap, no-frills ski holiday that still offers great skiing in a lively resort then Grandvalira-Pas de la Casa may be the one for you. 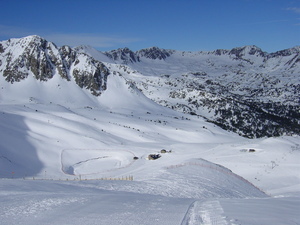 Part of the linked ski network that includes; Grandvalira-Encamp, Grandvalira-Canillo, Grandvalira-El Tarter, Grandvalira-Soldeu and Grandvalira-Grau Roig,Grandvalira-Pas de la Casa offers over 100 km of pistes. 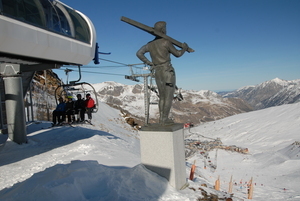 Porte des Neiges, in France will also join the Grandvalira resorts. 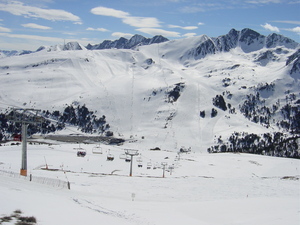 Grandvalira-Pas de la Casa resort has a well balanced mix of gradients that should keep most happy. 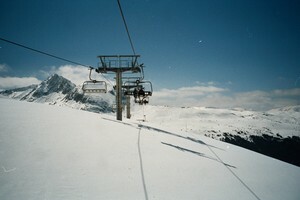 The modern network of 30 lifts only really struggles during the busiest holiday periods when local skiers flock to the slopes. Off the slopes the town is lively. Accommodation is, predominantly, in apartment blocks at Grandvalira-Pas de la Casa but a host of duty-free supermarkets and bar/restaurants help to keep the cost pegged. However, the eating could not be described as haute-cuisine, nor the nightlife sophisticated, but it doesn't pretend to be! Just returned from Pas. 5 great snow days, really enjoyed the skiing. Been several times before but won't be rushing back. 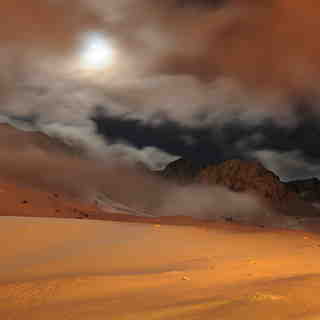 Pretty it ain't but once on the mountain truly breathtaking. The y really have pared everything to the bone. Many lifts had only one person working them, there was no organisation of many of the lift queues. Big queues and chairs going up half full, several card readers not working adding to the queues, unhelpful staff....the list goes on. Lack of reliable ski buses, what's the matter with these people. Snow clearing very poor parking a nightmare. Will they never learn? Whilst Grandvalira will never be ski in/ out it would make the experience far more pleasant if there was a ski bus instead of having to drive to the lifts, queue for parking and put cold boots on in a car park. Lesen Sie 28 andere Beurteilungen ueber Grandvalira-Pas de la Casa oder geben Sie Ihre eigene Bewertung ab.